Discover a passion for cooking with the FSDF60DO by Belling. 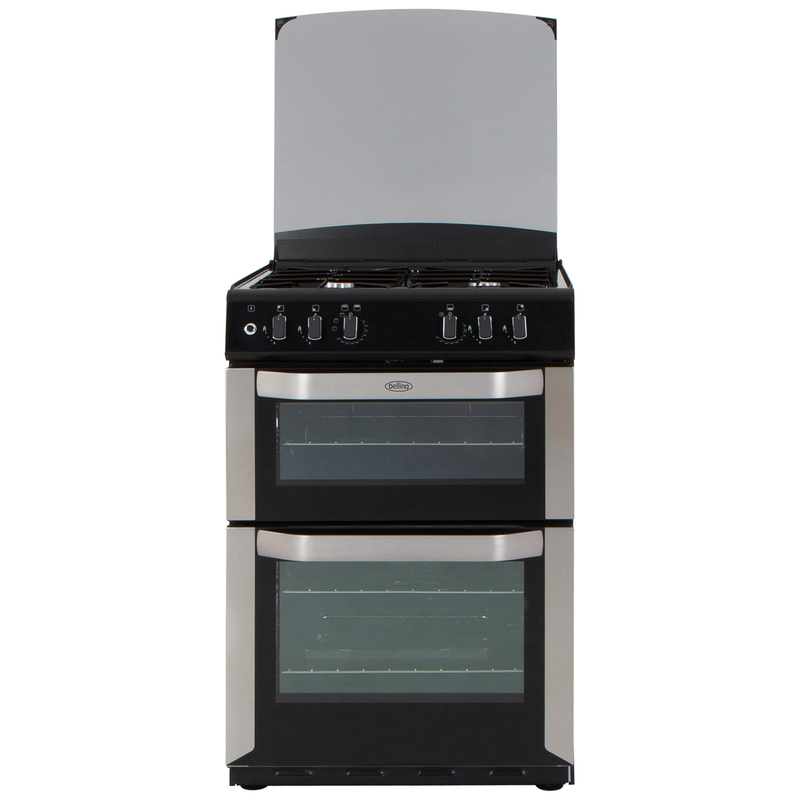 This model is dual fuel for complete flexibility, with an electric fan powered main oven, electric conventional top oven with grill and four gas burners. Creating homemade family meals will never be a chore again. Dual fuel offers the best of both worlds – the consistent oven temperature you get from electric and the instant heat of a gas hob. The 35 litre top oven is conventional, while the 69 litre main oven is fan powered for even heat distribution. There’s plenty of space for even the largest meals, whether that’s roasting the Christmas turkey or cooking multiple dishes when entertaining friends. Having a double oven also lets you enjoy the freedom of using different temperatures at the same time. The top oven has a variable grill function so you can make toast for breakfast or grill burgers and sausages to remove some of the fat. Open door grilling allows air to circulate, meaning you can’t accidentally roast your foods. On top there’s a gas hob with four burners. These range from 1 kW to 3 kW in power, so you can gently warm a sauce or get a pan of water boiling in no time. Light the hob safely in an instant with push button ignition. The FSDF60DO is packed with Belling’s intelligent safety features. Prevent little hands controlling the hob with child lock, and relax in the knowledge that the hob will automatically shut off if the glass lid is lowered while it’s on. There’s also a light-up hot hob indicator which warns you if the surface isn’t safe to touch. 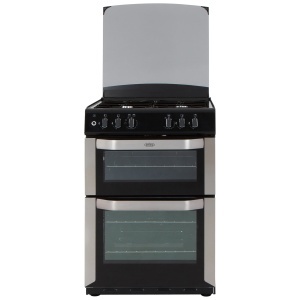 This cooker offers all the features you could possibly need, and the build reflects its quality design. The stainless steel finish is strong and stylish, and easy clean oven enamel means food spillages wipe away effortlessly. This model has been awarded an A for energy efficiency.